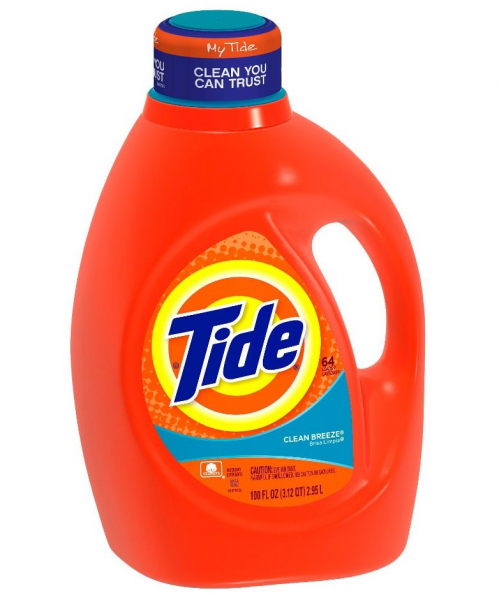 Tide Clean Breeze Scent with Actilift - 64 loads. Outstanding cleaning and stain removal. Phosphate-free and made of biodegradable soaps, safe for septic systems and packaging is recyclable.